As debate intensifies around reactions to Margaret Thatcher's death, Ceasefire's Elliot Murphy presents a damning portrait of her political record at home and abroad. “We need to ensure that military superiority – particularly technological superiority – remains with nations, above all the United States, that can be trusted with it. We must never leave the sanction of force to those who have no scruples about its use” – Margaret Thatcher (1925-2013). As writers like Mills and Sunny Hundal have pointed out, the real tragedy is not one of personal grief, but of the death of a welfare system which permits the disabled to live a decent and dignified life – a death accelerated under Thatcher’s heirs Cameron and Osborne – along with the rapid decline of the NHS. These privatisation measures also had repercussions for Britain’s schools and universities, with a UNICEF study on child neglect, conducted by the American economist Sylvia Ann Hewlett, demonstrating that the Anglo-American education model launched by Reagan and Thatcher has been disastrous for children and families. The solidarity of the labour movement soon gave way to ‘enterprise consciousness,’ with workforces being encouraged to become interested solely in the fortunes of their own firm, rather than in the struggles of workers elsewhere. Along with the rise of the ‘imperial CEO’ across the US, British ‘management could take advantage of the mood of “new realism” encouraged by high unemployment to marginalise or sack militants, and establish new forms of communication and involvement with their workforces to educate them in “the realities of business.”. New firms often found it unnecessary to their development to apply workers’ rights and recognise unions, as an enterprise culture emerged to sideline the collectivist goals of the labour movement. Revised philosophies of rugged individualism spread through the mainstream media and universities, inspired by the ideologies first proposed by the rural gentry in the wealthier parts of England, ‘a superbly successful and self-confident capitalist class,’ in the words of E. P. Thompson.. The 1982 Employment Act, drafted under Secretary of State Norman Tebbitt, also enlarged the amounts of compensation payable for dismissal due to a closed shop to up to £250,000 for the largest unions. Closed shops now needed periodic ballots to validate them. It carefully limited the definition of a trade dispute to one between workers and their employers ‘wholly or mainly’ concerning terms and conditions of employment. MacInnes summarises how it also ‘outlawed industrial action against non-union companies, and clauses in contracts requiring the use of union labour. Employers could also selectively dismiss strikers without notice, without this being unfair. The Act opened up unions liable to large fines for being in contempt of court, as well as sequestration of their assets. By 1986 unions had been fined over £1 million for various ‘contempts’. According to the Conservative Campaign Guide 1983, certain sections of the Trade Union and Labour Relations Act of 1974 ‘which the Courts had interpreted as giving immunity to those who “sit-in” or “occupy” their workplaces were repealed’ since, as the Spanish, Hungarian and Polish workers had shown in previous decades, an occupation was only one step away from the workers running the shop themselves, eliminating the need for management. As Tom Burns observed in 1966: ‘I am more than ever impressed with the extraordinary gap that exists between the perceptiveness, intellectual grasp, and technical competence of the people who work in industrial concerns, and the cumbrous, primitive and belittling nature of the administrative structures by which they direct their efforts, and of the constraints they see fit to impose on their thinking and liberty of action. In his ‘Anatomy’ of the Tories, Richard Seymour points out that Keith Joseph (‘the power behind the throne’ of Thatcherism) and Thatcher herself ‘articulated the critique of the post-war settlement that had long been propagated by the middle class right, and in think-tanks such as the Institute for Economic Affairs. They also set out to create new vectors for ideological dissemination, creating the Centre for Policy Studies to provide an alternative source of policy to that of the Conservative Research Department. Aside from adopting the occasional philosophy of an Austrian economist or World Bank official, the Conservative party lacks consistent principles, adapting to promote certain institutions they despised not to so long ago ‘because they have become familiar. The dictator Augusto Pinochet’s regime (installed by MI6 and the CIA in a 1973 brutal coup) was also described by Trade Minister Peter Rees in 1982 as a ‘moderate and stabilising force’ – moderate because he only killed his own people, not ours. The majority of Chile’s navy was supplied by Britain’s heavily subsidised arms firms, which provided ‘around a dozen warships, including frigates, destroyers and submarines’ according to Mark Curtis in Unpeople. According to an Amnesty International report from July 1980: ‘There has been a steady increase in the abuse of human rights in Chile. This year alone 2,000 people have been arrested in a series of systematic house raids and many are said to have been tortured. … There is concern that people will again start ‘disappearing’ as they did before 1978 and that the increase in cases of torture reported to Amnesty International in recent months marks a return to brutal torture’. The Observer reported in 1997 that, ‘during the period of maximum pressure to make arms sales to Turkey’, Thatcher ‘personally intervened to ensure a payment of 22 million pounds was made out of Britain’s overseas aid budget, to help build a metro in the Turkish capital of Ankara. The project was uneconomical, and in 1995 it was admitted’ to be ‘unlawful’ by Foreign Secretary Douglas Hurd. In Iraq, after the genocidal gassing of 5,000 Kurds in Halabja under Saddam in March 1988, London extended its already strong military support. The Thatcher government ‘expressed its outrage over the use of chemical weapons by doubling export credits for Baghdad, which rose from £175 million in 1987 to £340 million in 1988,’ writes Curtis. More generally, London ‘has always opposed full self-determination or statehood for the Kurds for fear of destabilising its allies in the region, principally Turkey and Iraq’. 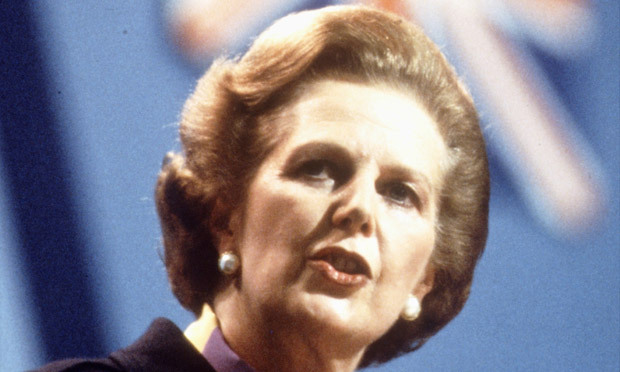 Within a year of Thatcher’s election in 1979, the Conservatives, Curtis adds in The Ambiguities of Power, ‘had lifted the arms embargo against Chile imposed by the previous Labour government, resumed full diplomatic relations, and restored the full cover of the Export Credit Guarantee Department for trading with Chile.’ This coincided with a rise in human rights abuses, including ‘arbitrary arrest, interrogation with torture, the recent finding of a mass grave containing 3,000 bodies and an economic policy leading to widespread malnutrition’, according to Sheila Cassidy, a British missionary whose torture had initially caused Britain to sever diplomatic relations with Chile, before a new Age of Reason helped the Conservatives see the democratic potential in Pinochet’s violence. Reagan and Thatcher were not distracted in their efforts by the World Court’s condemnation of US attacks and the destruction of economic livelihoods, with Britain even abstaining in November 1983 from a UN resolution condemning US human rights violations by its favourite brutal regime in El Salvador. The current coalition government has also used Thatcher’s tenure as a model for diplomacy and morality. In late March, while the UK was supporting an arms treaty at the UN, coalition ministers were also promoting the nation’s arms trade to Libya aboard a British warship, advancing more weapons sales to a socially and politically dislocated country filled with rival armed factions. Thatcher’s legacy will certainly live on, then, in new and surprising ways – but only, as is often the case, if we allow it to. Cited in Walden Bello, Dark Victory: The United States, Structural Adjustment and Global Poverty (London: Pluto Press, 1994), p. 105. Tom Mills, ‘The Death of a Class Warrior – Margaret Thatcher (1925-2013),’ New Left Project, 8 April 2013. John MacInnes, Thatcherism at Work: Industrial Relations and Economic Change (Open University Press, 1989), p. 165. Financial Times, 10 June 1987. MacInnes, Thatcherism at Work, p. 25 (emphasis his). The Guardian, 9 October 1986. MacInnes, Thatcherism at Work, p. 54. E. P. Thompson, ‘The Peculiarities of the English,’ Socialist Register, 1965, cited in MacInnes, Thatcherism at Work, p. 8. MacInnes, Thatcherism at Work, pp. 8-9. Richard Seymour, The Meaning of David Cameron (Zero Books, 2010),, p. 38. MacInnes, Thatcherism at Work, p. 55. Conservative Campaign Guide 1983, p. 111, www.margaretthatcher.org/document/CA0B1DF2EC494228BB66A9C59F82BE46.pdf. Tom Burns and George Macpherson Stalker, The Management of Innovation (Oxford University Press, 3rd revised edition 1994), p. xxxv. MacInnes, Thatcherism at Work, p. 162. Noam Chomsky, ‘The United States and the “Challenge of Relativity”’, in Tony Evans (ed. ), Human Rights Fifty Years On: A Reappraisal (Manchester University Press, 1998). Richard Seymour, ‘The Tories: An Anatomy,’ International Socialism, issue 131, Summer 2011, p. 51. R. Seymour, The Meaning of David Cameron, p. 63. John Pilger, ‘The real first casualty of war,’ New Statesman, 24 April 2006. Mark Curtis, Unpeople (London: Vintage, 2004), p. 275. Caroline Mooreland, ‘Amnesty and unions deplore lifting of Chile arms embargo,’ The Times, 27 July 1980. Cited in Noam Chomsky, ‘The Passion For Free Markets,’ Z Magazine, May 1997. Mark Curtis, Web of Deceit: Britain’s Real Role in the World (London: Vintage, 2003), p. 36. Amelia Gentleman, ‘Thatcher takes elevenses with old ally,’ The Guardian, 27 March 1999. BBC News, 26 March 1999, ‘Thatcher stands by Pinochet,’ http://news.bbc.co.uk/1/hi/304516.stm. Mark Curtis, Secret Affairs: Britain’s Collusion with Radical Islam (London: Serpent’s Tail, 2010), p. 150. Mark Curtis, The Ambiguities of Power: British Foreign Policy Since 1945 (London: Zed Books, 1995), p. 131. John Pilger, ‘Our model dictator,’ The Guardian, 28 January 2008. Cited in Edwards and Cromwell, Guardians of Power, p. 143. Cited in Curtis, Secret Affairs, p. 143.